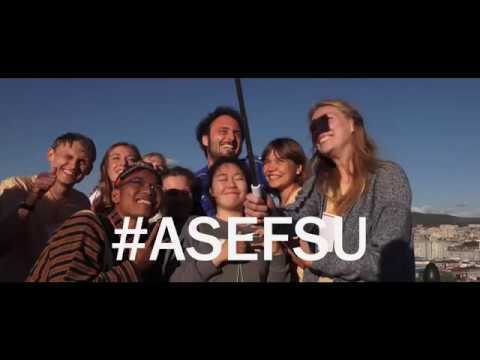 The ASEF Summer University (ASEFSU) was a 12-day experiential learning journey and “Interdisciplinary Innovathon” for Asian and European students & young professionals. Designed to foster cross-cultural exchanges and networks among youth, it offered youth the opportunity to broaden their horizons, deepen their knowledge on contemporary issues, and propose concrete solutions to societal challenges. ASEFSU22 was conducted under the theme "Sustainable Tourism: Youth Driving Green Growth" and it consisted of a mix of practical team exercises, thought-provoking lectures, group research and experiential learning. The participants were given the opportunity to learn and share their knowledge on sustainable tourism and green economies through a local “Innovathon” and Challenge Hub. Consisting of members from diverse backgrounds and experiences, the ASEFSU22 Challenge Teams tackled a real obstacle to sustainable tourism in a practical and engaging way. The ASEFSU22 Challenge was developed in cooperation with Hostelling International, the only global network of youth hostel associations, and the participants' proposed solutions were presented live through social media, as well as put to test and made available for the benefit of all ASEM societies. In this phase, the participants actively took part in an online preparatory phase to familiarise with the topics of the project. As part of it they attended online webinars on topics ranging from Tourism & the Sustainable Development Goals (SDGs) to International Relations & ASEM, and they worked on individual as well as group assignments. The 1-week programme in Slovenia offered the participants trainings, workshops, lectures and study visits to develop their understanding of the themes covered by the project. In Croatia the participants went from theory to practice as they were given the opportunity to co-develop and test solutions to environmental, tourism and youth employment challenges faced by local authorities, businesses and civil society organisations in the region. All prototypes developed on site – analogue and digital – were analysed after the project by relevant stakeholders and communities engaged. In addition, the project’s best-performing participants were awarded and invited to present the outcomes of their work at high-level ASEM Ministerial Meetings and other events. No registration or participation fee. The organisers provided participants with travel subsidy, accommodation and meals. ASEFSU22 was accessible to all ASEM youth. The organisers did not discriminate any applicant or participant on the basis of his or her race, national origin (ancestry), colour, gender identity or expression, sexual orientation, pregnancy, disability, religion (creed), marital status, or age. The 22nd ASEF Summer University (ASEFSU22) was conducted 12–23 September 2018 in Croatia and Slovenia, in partnership with Algebra University College, Edward Bernays University College, the Institute of Agriculture and Tourism in Poreč, the University of Ljubljana – Faculty of Economics and the University of Primorska – Faculty of Tourism Studies (Turistica). The project was further supported, among others, by the Ministries of Foreign Affairs of Croatia and Slovenia, as well as the National Tourism Boards of both respective countries. Themed “Sustainable Tourism: Youth Driving Green Growth”, 47 participants from 46 Asian and European countries voyaged across 4 cities in Croatia and Slovenia through a 2-week experiential learning journey focussed on the 3 dimensions of sustainable development: Economic, Social and Environmental. The programme included practical trainings, stimulating lectures and alternative tourism exercises on the multiple aspects of sustainability. ASEFSU22 was the ASEF Education Department’s first large-scale project in both Croatia and Slovenia, and it was also the first time an ASEFEdu project assessed its impact on the planet and tried to actively minimise it through various sustainable project management approaches. As part of the programme, the ASEFSU22 participants were divided into 8 Challenge Teams who were tasked to identify and present solutions to the use of disposable plastic at Hostelling International hostels. While the Challenge Teams pitched their ideas live on social media on the last day of the project, the winning group will be announced in October 2018, once ASEF and Hostelling International have assessed also the detailed Challenge Team reports. The Challenge Team with the best proposal will be invited to present their solutions at upcoming, global tourism fairs as well as at ASEF and ASEM projects and initiatives.